Our latest mixtape welcomes London’s Jon Phonics of the Astral Black family to step to the plate, taking us on a journey that includes the likes of Madlib, Aphex Twin, and Bill Evans Trio. 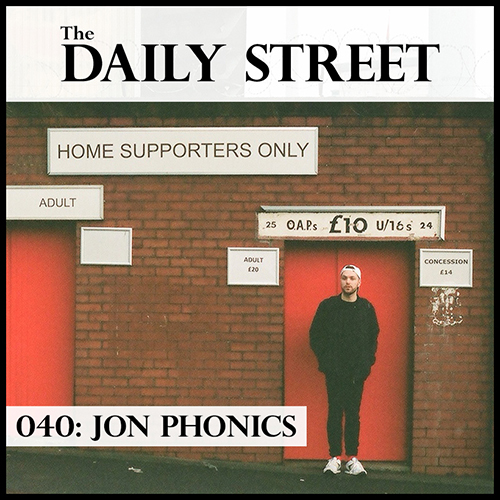 Jon Phonics made his name in the production world working with artists such as Jehst and Foreign Beggars, approaching with an open minded style that made room for a whole host of electronic music. Flirting with all sorts of grime, boogie, hip hop and funk pinpointing a particular genre for Phonics is rightfully futile. 2014 was kicked off with the release of Domino Effect on Push and Run, a stellar display of blissful 8 bar beats and synths laced with stunning vocals from Tabanca. Jon’s efforts also stretch into his label Astral Black, working with producers such as Jaisu and Inkke to name but a few. TDS Mix 040 is an exceptional selection of soul, funk, hip hop, electronic obscurities and even a bit of doo wop. Running in just shy of an hour the mix which is vinyl only gives Jon Phonics the chance to do something a bit more personal. We love the selection Jon has pulled out for us and we’re sure you will too.